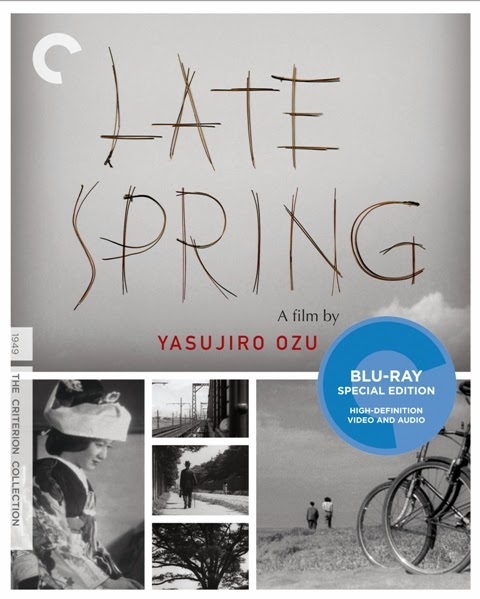 I hadn't seen Late Spring before, but felt relatively safe in buying it because having watched Late Autumn and Early Summer, I felt there was a sufficiently predictable pattern to director Ozu's style for me to take the gamble. Predictable is not a knock here, as Ozu's films are not about the destination but the journey, and Late Spring is another fine film in his repertoire. The plot concerns a elderly gent (Chishu Ryu) worried about marrying off his daughter (Setsuko Hara), but the girl is happy with caring for her father and wants to continue their present life. The plot is simple, the script's beauty is in the delicate portrayal of relationships and the dilemma the characters face between their emotional desires and the role that civilized human society requires them to play. It's sad that most Indian audiences are not interested in foreign cinema that doesn't come from Hollywood. I feel they would find a lot common social / cultural ground with the characters of Ozu films and the moral dilemmas they face - I would say they are very similar to Sooraj Barjatya / Rajshri films, if you put aside the gaudy naach-gaana and chauvinism. It also helps that Ozu has a very unpretentious low-key style. Late Spring, like his other films, has a gentle pace, but cannot be described as slow-moving in the sense that there are no wasted or empty moments. My favorite scene in the film is when the father advises the daughter as to why she should get married and how she should aim for happiness in life. It's beautifully understated both in direction and in the actors' performances, and brings a lump to my throat. The video quality of the Criterion blu-ray is compromised on account of the source material. While the studio has doubtless done its best, there are many damage marks (most of them slight and non-distracting) and some amount of flickering. The mono sound is clear and solid. I haven't gone through the extras, but Wim Wender's Ozu related documentary - Tokyo-Ga - sounds pretty interesting.